How far will you be going? 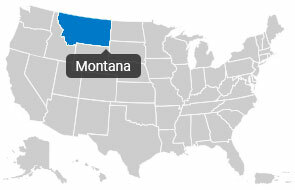 If you are just going to a different house in the same city, most companies in Montana will be able to assist you. However, if you plan to go to another state or even just another city within your state, you will need to look into a long distance company to help you out. They can do a lot more because they have the crew and the equipment to travel a long way. Check for the insurance limits for different companies Montana has available. Some places will automatically include a certain amount of insurance into your contract, and then you will be able to add additional amounts for a certain fee. If you are traveling far or have a lot of valuables you want to protect, you may need to seek out insurance that is going to cover your items in case something goes wrong. If there is an accident or the truck somehow lights on fire, you want a way to be compensated for the damages. If your move is going to need an assembly line of people, you will need to get a quote that can handle your kind of job. You may have to pay more for more people, but that will save you time in getting everything over to your new place. Find a group that you know you can trust, and then see how much you may spend on their services. You could be settled into your new home in no time. Evans Tfr. & Stg., Inc.